Guys love a good stag party. Your buddy is getting married so this is the last blowout. Someone suggests some funny tees to wear on your trip. We are here to help. 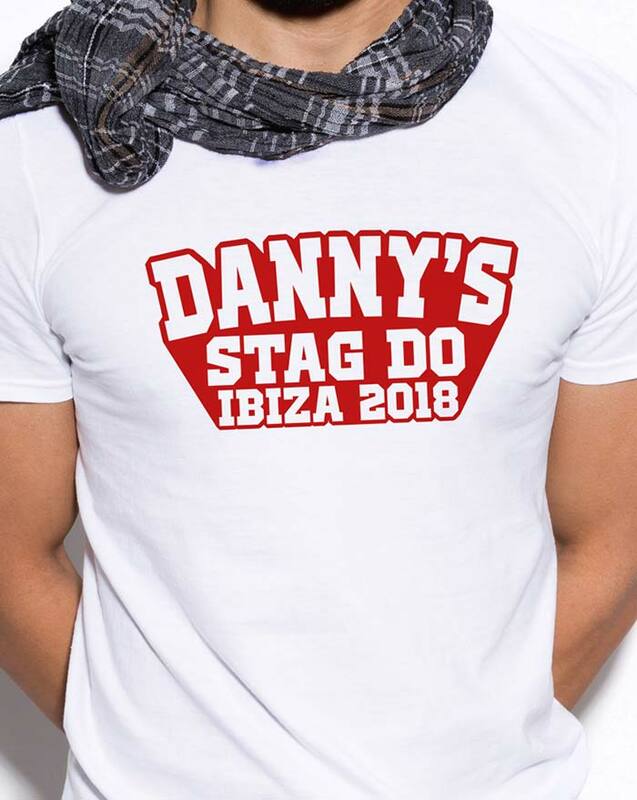 We print a lot of custom stag and hen party t-shirts, caps, bags etc. You name it we have printed it. We can fully customise & personal clothing exactly how you want it. Any colour, any style, any size. We have over 1000 products in our catalogue to choose from so certain we have something for you. Our screen-printing service means we can offer fast turnaround & cheap printing on t-shirts, hoodies, sweats, caps & bags. We are based in Jersey C.I. but ship our printed goodness to all corners of the UK. The main factor in stag do tees is price. Most guys just want a cheap and cheerful tee to wear a couple of times then probably leave in a hotel somewhere or use it to mop up your mates sick but thats fine, we have a range of budget clothing that is perfect for those of you that don’t care. But… we also have a great selection higher quality garments for those that want a little keepsake from your adventures. Special effect printing & customising the tees is most popular. Also items like tote bags & rucksacks are a great stag do or hen party add on and might even get used again. So whether you need basic tees, personalised shorts, branded trilby hats or printed bags we have lots of great thing. We will also design the artwork for your free of charge to ensure your crew looks the part. We always throw in the stags tee for free as a congrats from us.